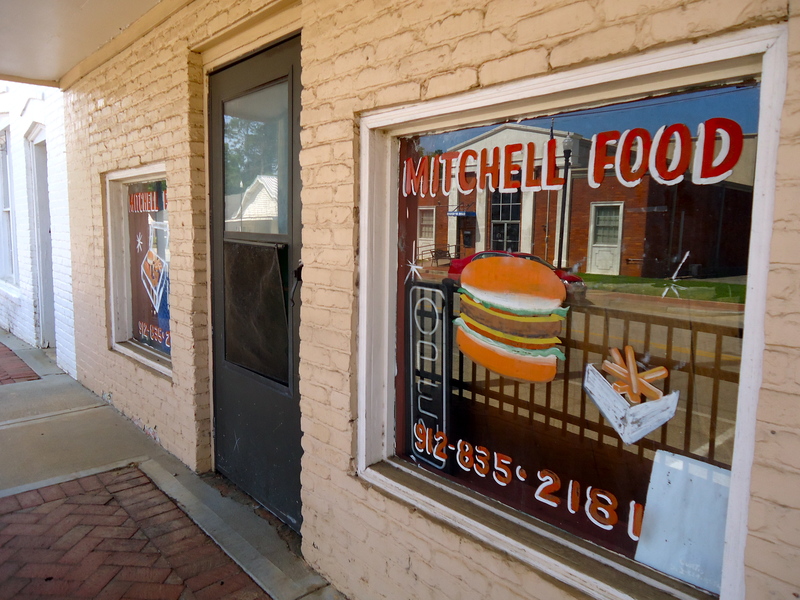 Mitchell Food is now defunct, but the paintings on the store’s front windows remain. The storefront is in downtown Edison. This entry was posted in Edison and tagged Calhoun County, Cultural Feature, Demolished, Edison, Incorporated Town, restaurant. Bookmark the permalink.